The world‘s greatest Freestyle BMX Event – the snipes BMX COLOGNE – will be held again on June 23rd and 24th, 2018, in the Jugendpark. „NO TRANSITION“ is the motto and on these two days, the spotlight will be on the fun of the spectacular stunts and tricks as well as the fascinating lightness of the sport. In June, 2018, the organizers around BMX legend Stephan Prantl return to the two-day event format and in the year before their 35th anniversary, will continue to follow their belief in bringing the sport and the festival back to their roots. More than 200 athletes from more than 10 nations are expected at this unique event. The snipes BMX COLOGNE 2018 will, like last year, be free to fans and visitors – “NO TRANSITION” is offering everything but Ramps with Transitions! BMX Cologne is known for it’s in freedom and down-to-earthness. 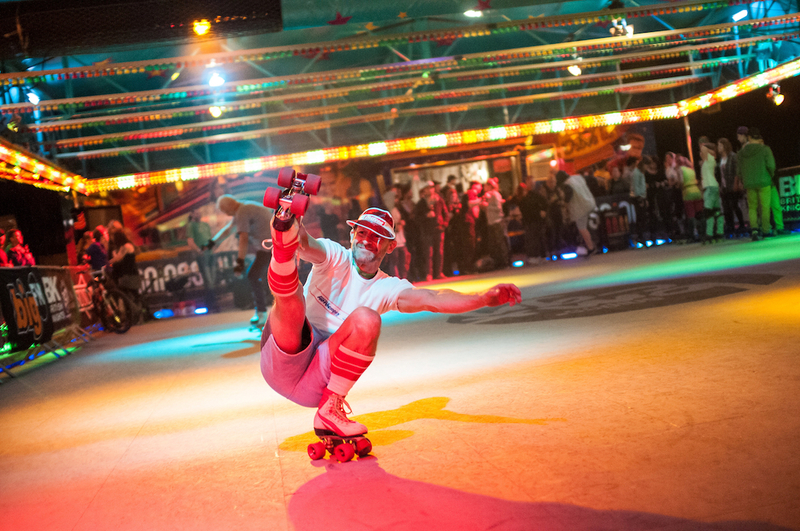 The BMX Festival will be rounded up by an „80s Roller Skate Disco“ as well as food trucks and a shopping mile, so that attendees‘ hunger and thirst will be serviced in original ways and that they can shop for everything they want, from sunglasses to BMX bikes. Oldschool – 80´s Kickturn Ramp Session / 80´s dress code!! 80s Roller Skate Disco will start at 10:00 PM at the Jugendpark. Our Partner BTFL will be renting out Skates, we sugest you bring your own matching your Outfit!